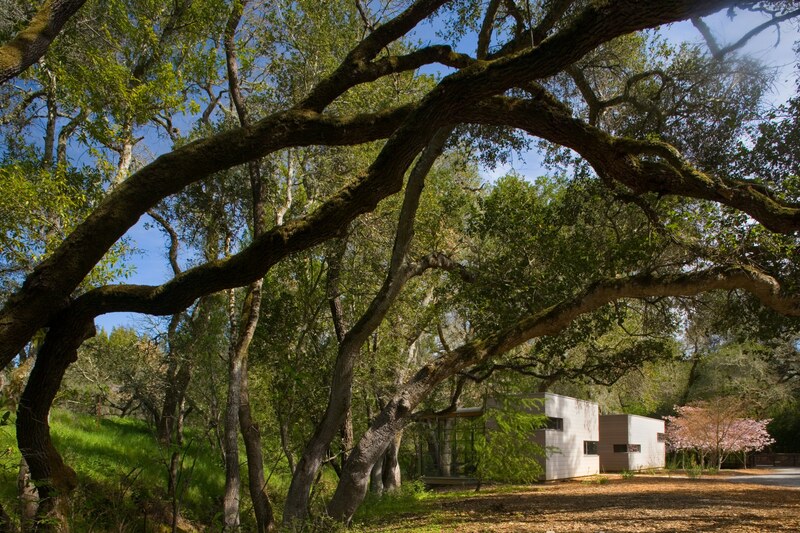 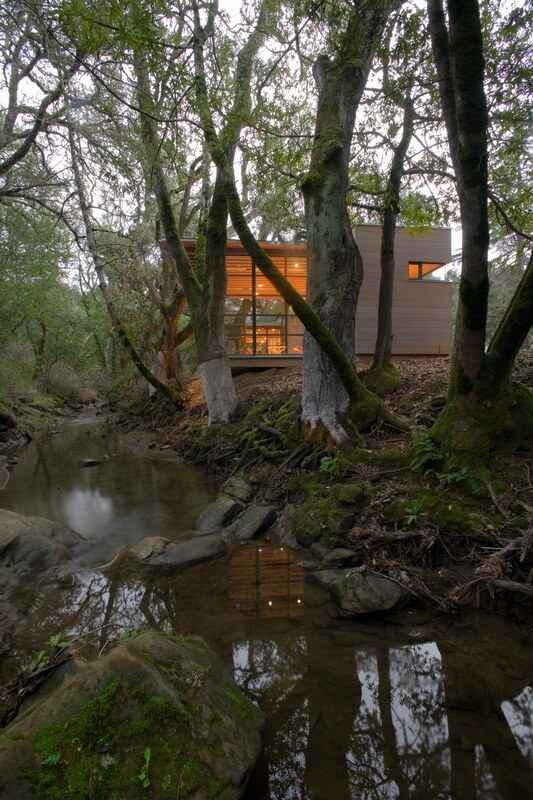 These two structures sit perched over one of two tributary dry creek beds that converge upon and border the site and are appurtenant to an existing residence. 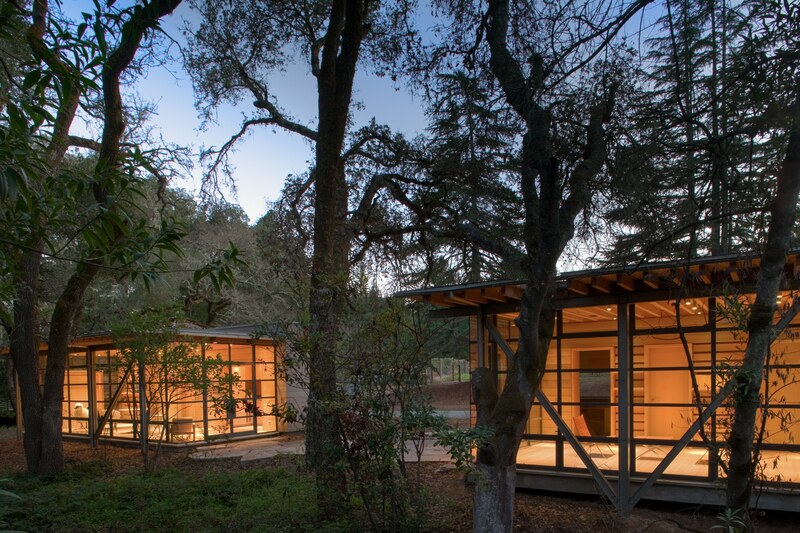 Upon entering the site these two buildings greet the visitor with architectural aesthetic which follows the exposed Douglas Fir rafter theme used in the main residence located further along the entrance drive. 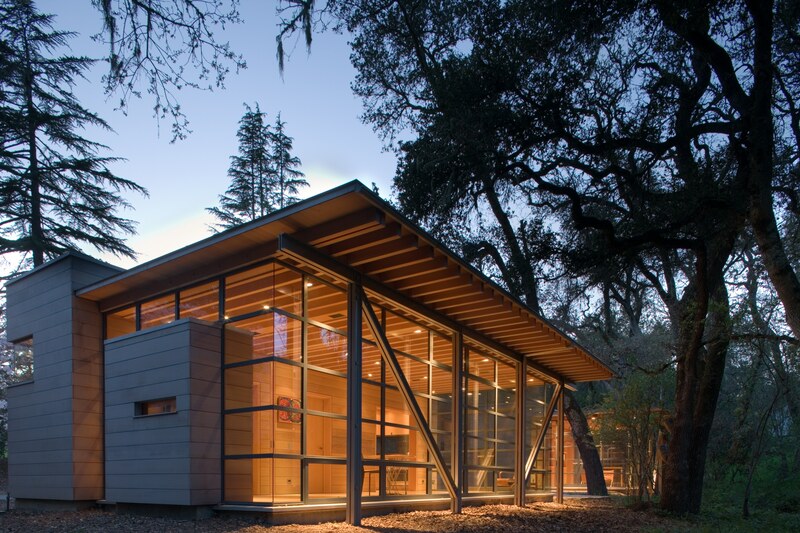 The delicate windows are juxtaposed to the simple patterned exposed rafters which flow from interior space to the exterior. 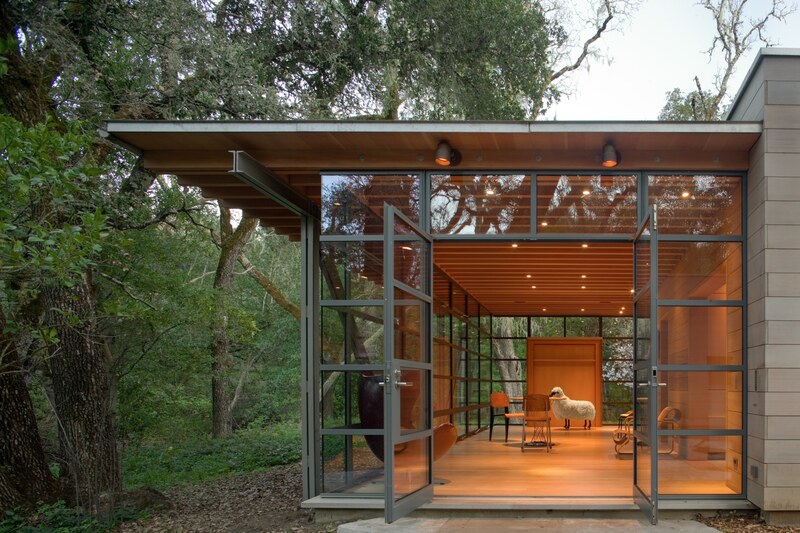 The double-channel braced frames, situated on the creek side of the buildings, float freely outside of the window system and are anchored to and disappear into the creek bank.